Google Glass is hailed as one of the most innovative products of our time, but there have been a number of individuals who’d disagree. For many of these individuals, Google’s Glass Project has been nothing more than an experiment into privacy invasion. Some critics have said that Glass is unattractive and geeky, similar to Samsung’s Gear smartwatch lineup or Omate’s Truesmart smartwatch. Google’s taking steps at the moment to make Glass more stylish and sleek to appeal to the fashionistas among us. 40-year-old Berlin artist Julian Oliver found himself in the Glass-critical camp. He was approached by an artist friend who found Glass-wearers appearing at his art exhibit with Glass on their eyes, in plain sight. Hearing about how his friend was afraid that his privacy was invaded, Oliver set to create a program to handle Glass wearers. The program is called Glasshole.sh, and, as the name suggests, the program doesn’t take too kindly to Google Glass users. 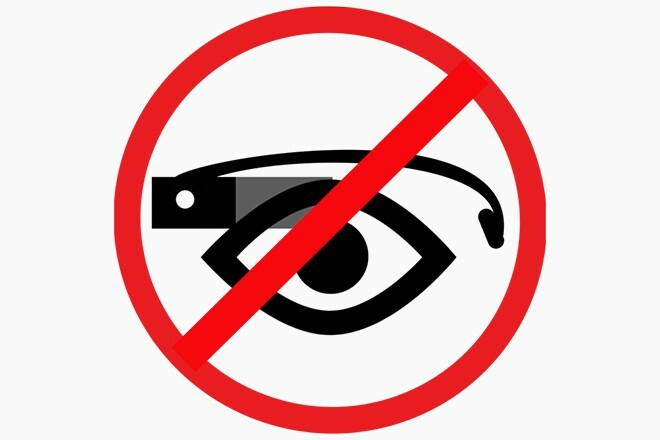 The program is set up to detect when a Google Glass user approaches the vicinity of an establishment, at which point the network will send a deauthorization notice to the Glass user, disconnect Glass from the network, and cause Glass to beep – to signal to everyone else around the individual that the user is wearing Google Glass. Julian Oliver may have a point, but if Google Glass is banned from public establishments, one might as well ban Samsung’s Gear smartwatches (the exception being the Gear 2 Neo). The Gear 2 and first-generation Galaxy Gear smartwatches come with both video recording and photo capabilities that let you tap your smartwatch display when taking a photo. You can tap the screen and snap a photo of anyone in seconds – without the individual ever knowing that you took a photo. In other words, some smartwatches are just as “intrusive” (Oliver’s idea), but one is more likely to suspect an interesting head wearable than a device that looks like a digital watch. Technology is not a terrible thing, but it has been used to cause irreparable damage to innocent and unsuspecting citizens. Sure, there should be certain laws in place that protect the rights of citizens, but I’m not sure that disconnecting Glass from anyone’s public network will help the situation. At the same time, it may be a safety measure for future businesses that don’t want to give privacy thieves an opportunity to commit terrible deeds. The company (Google) whose motto is “Don’t be evil” may find themselves in the position of having to defend their recent tech invention.